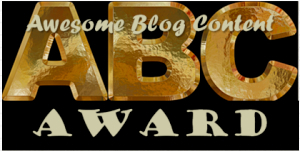 Once again I have the pleasure of announcing that I am the recipient of a Blogger Award. This time it is the very prestigious Versatile Blogger Award and I was nominated by Michelle, over at Silkpurseproductions’s Blog. 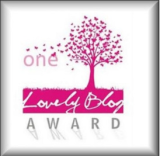 A big fat THANK YOU to Michelle for nominating me for the Versatile Blogger Award. Versatile: (adj) Capable of or adapted for turning easily from one to another of various tasks, fields of endeavor, etc. : a versatile writer. Interesting…. Michelle brought something to my attention with this award that far outweighs this honor…self awareness. Sometimes it’s almost inconceivable for me to believe I am writing, let alone being acknowledged. Why you ask? Well, because Sister Geraldine squashed any hope of that dream when she decided to publicly humiliate me during a 5th grade English class. Remember 5th grade, that wonderful ugly transition year when you’re half child and half who knows what..not really a good time to be embarrassed in front of your peers. Thanks for the scars Sister. The assignment was to write a short story. So, I wrote a fictional piece about my sister getting hit by a car and breaking her arm. Well, it must have had an impact because I started to cry towards the end. Now, this could have been nerves (which it was) or the sadness I felt for my sister in light of her pretend tragedy. Sister Geraldine didn’t know, nor did she care as I sobbed back to my desk and listened to the laughter. Fast forward to the second assignment later in the year. I chose to go with the humorous approach and tell of an experience I had with a Seagull and a bag of Cheese Curls. The stomach pains I endured in anticipation of getting back up there … Dear God! As I was heading up to the front of the room, Daniel McDevitt looked right at me with a huge grin and said “are you gonna cry again?” Sister Geraldine heard him say it and she laughed! No Jesus like comforting for the less fortunate in that classroom…my expectations along with my self-esteem vanished in that moment. That ended any growth in my writing and public speaking skills. I proudly accepted an “F” on every assignment that involved an Oral Presentation for the rest of my academic career. 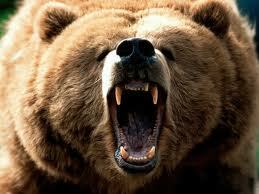 Do NOT mess with my cubs! About 5 years ago I was forced into the uncharted public speaking waters in response to corruption at the school (yes, school) my children were attending. Aside from the misappropriation of funds, there were educational decisions being made that had a direct effect on my daughter. That story is for another day. Sometimes life has a different plan and this was certainly one of those game changing moments. In an instant I went from being afraid to speak publicly, to being dubbed a Whistle Blower on the front page of The Philadelphia Inquirer. I guess that defines Versatile…Wow. I can swim alone now! So, this grizzly bear loving mother was forced to speak publicly in defense of her child and the other children effected by this corruption. It started with a public Board Meeting and ending with testimony in a Federal Courtroom. The fears and doubts loomed over me throughout the entire process. My sister guided me through the speech writing process as my writing life-preserver, until she got “busy.” It was time to let go and her schedule forced me to make that decision. That journey lasted 3 years and it was single-handedly the best thing that could have happened. 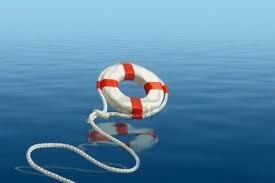 My children forced me to face my fears, I let go of the life-preserver and guess what….I survived. Childhood scars certainly run deep, but they can be healed …. after 37 years of silence, I am happy to be sharing my thoughts, humbled by the responses I receive and beyond honored to be recognized by such a talented group of people in this Community of Bloggers. I still have my doubts when I push the “Publish” button, but it’s getting easier by the blog. Let go and always….Enjoy the Ride! Here are the 15 Bloggers I nominate for the Versatile Blogger Award. Their work exceeds my expectation EVERY DAY! Here you go Michelle (7) things about me…. 1. I get drunk on (1) bottle of beer. 2. I love that at one point my son thought I was the Tooth Fairy…for the ENTIRE world! 3. I am a sucker for a sob story. 5. I love my dog Chester. 7. I believe in laughter for any occasion…it’s a healer. Oh my how wonderful that I made you list! Thank you so much. I love you blog congrats on the award! Your welcome and right back at you! Hahaha it really was awesome! He said “you make the best cookies, you work AND your the tooth fairy..when do you sleep?” it was priceless. Now he’s 17 and apparently I don’t know a dam thing! Hahahaha … Sr. Anetta in 6th grade was actually worse, but that will have to wait. He had such high expectations for me…it really is one of my most treasured moments. Bravo and well done! Thanks for the award! ppsst…I was in Sister Geraldine’s room too! You have a great memory! I barely remember what she looks like! Hahaha That’s photo is how I remember her..whether she looked like that or not! I had Ms. Daley (so nice) and just had her for English..thank God!! Thanks for commenting. Congratulations!! And thank you so much for the award! 5th grade is the worst! They squashed all hope of me ever being able to do math. You’re son is so cute! It really is a grade to just pass by…ugh! 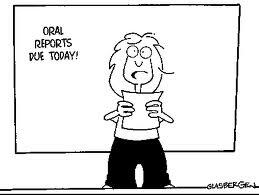 There are days when I think about being the Tooth Fairy! First, congratulations on the award! You deserve it! Second, I’d like to find that nun & smack her with a ruler! She not only humiliated you but made you doubt your self & had she not done that, you could have been exploring your writing so much earlier for that, she really needs to be smacked! I’m so glad you over came your fear. I truly enjoy reading each & every word! Thank you Jennifer, you are very kind to continue to read along and comment. Oh, I can only wish you were in the classroom…none of this would have happened! I could write a book on that horror! Congratulations and well deserved. Also a big thank you from me for the nomination. Great post and so glad I am a witness to the second coming of your writing career. Love your words, humour and perspectives. Clearly, we didn’t go to school in the positive reinforcement years :). It sounds like an amazing journey from Grade 5 to talented blogger. Maybe the Philadelphia Inquirer should do a story on that. Rock on Lisa! You are very welcome! Your blog is one of my top 3…I look forward to reading it ever day! Thank you so much. The reporter who did the many stories on that scandal is a wonderful person and we actually became friends out of the madness. I’m so glad Sister Geraldine didn’t win in the end and deprive us of your wonderful blog. 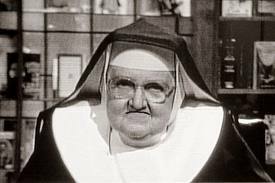 As a little girl I thought all nuns where like Sally Field in The Flying Nun…just sweet as syrup, and I really wanted to go to Catholic School. I’m grateful I dodged that bullet! It’s funny I get drunk on 1 beer too…I can drink Scotch from morn ’til night…but not beer. Someday you will have to tell us how you broke the news to your son. I couldn’t agree with you more about laughter. Thank you! I LOVED the Flying Nun so much and only once did I have one that came close..3rd grade. You dodged a nuclear missile! Interesting how things come about… I always enjoy it when you ‘hit the publish button’. What a fabulous story of overcoming shyness/fear of public speaking. Sister Geraldine should have her knuckles ravaged repeatedly with a ruler for that treatment. There really are folks who should just not be in charge of children, and she, clearly, was one of them. Kids can’t defend themselves, and I’m happy for you and your kids that you got to the second time around. Congrats on your well-deserved award. You are indeed Versatile. Michelle chose well! And thank you for nominating me, Tops. Congratulations on the versatile blogger award – that’s awesome! As a versatile reader, I really enjoy your blog posts. I have included you on my blogroll and wish you many referrals. And thanks for the nomination! By the way, #4-7, that’s me, except #6 dog named Chester is Ella the cat. I mean except #5. My apologies to Chester and Ella. I imagine they both enjoy the occasional compliment. Screw Sister Geraldine. Congrats on your award, you deserve it. Is that one bottle of beer I hear opening to celebrate? Congrats on your award! I loved your 7 things, especially the part about Chester. I am feeling a little misty this last little while because I had to put my beloved Bandit to sleep almost a year ago & I’m missing him terribly.